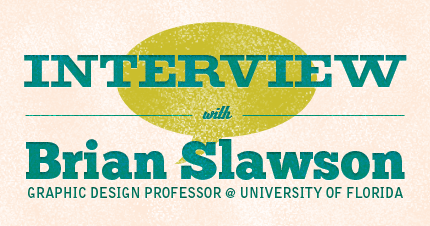 As a follow-up to "Put Your Portfolio Online" I caught up with University of Florida Associate Professor of Graphic Design, Brian Slawson. In this interview, Mr. Slawson talks about what some of his students are doing to showcase their design portfolios. [Tom] Are there hesitations that your students face when putting their portfolios online? [Brian] I don't think our students have any hesitation in putting work online. "Sharing" is commonplace for this generation of students. [T] What do most students prefer, online portfolio services or custom web sites? 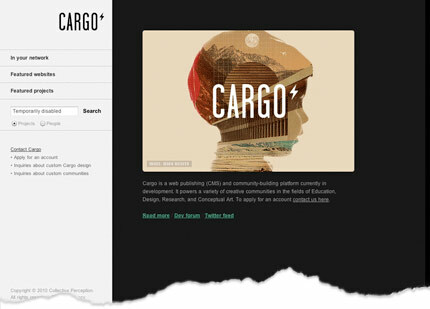 Most of our University of Florida graphic design students are now using the pre-fab portfolio sites because they offer "community" tools, they are easy to set-up and inexpensive/free to host — I'm thinking of Cargo Collective or even Tumblr. A small number of students also use Indexhibit, and an even smaller set will completely hand-code their portfolio sites. I know they also see and admire rich, interactive professional sites but they find the complexity of coding daunting. They'd rather focus on improving the creative content of their projects rather than struggle with code, I think. [T] What benefits are the students seeing from having both online and offline portfolios? They definitely need both. When meeting with someone in person I think you need a physical portfolio. Sometimes even a laptop is cumbersome — such as during group portfolio reviews. I always imagine the portfolio as a "script" for the interview which can help guide the conversation. Obviously, it is imperative to have also an online portfolio. Employers can have a quick look at your work and send the link easily to others. 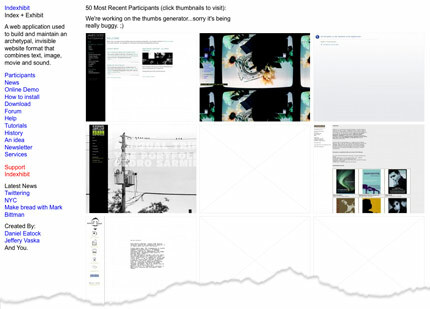 I think student portfolio sites, these days, should also have a social media component. Some sort of blog or twitter/flickr feed. That makes them feel much more "alive" than a seemingly static site. [T] What are some ways that graduating students are finding design jobs? 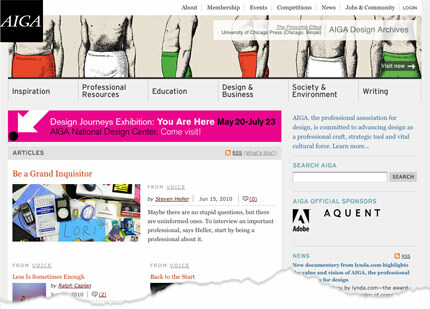 The usual way is by using "connections" via alumni, instructors, family or professional groups like AIGA. Students also patrol the job listing sites online. Most often they choose a city or region where they'd like to live and work, and then start investigating what opportunities are there. I think its important not to go looking for jobs, but looking for "interviews" which may eventually lead to jobs. Just getting an interview is a good first step out into the profession. [T] You mentioned that some of the junior students post to a site called design:related.com, what can you tell me about how they are using it? The design:related website was founded by two UF alums, Matt Sung and Karen Horton, both working in NYC now. 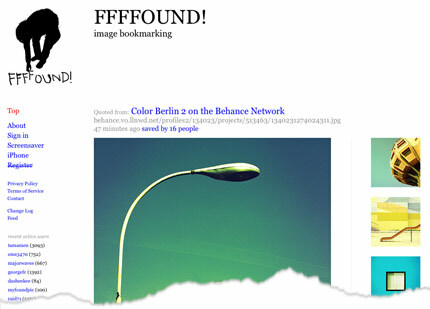 It is an online community of designers (of various disciplines) who post news items and inspirations. 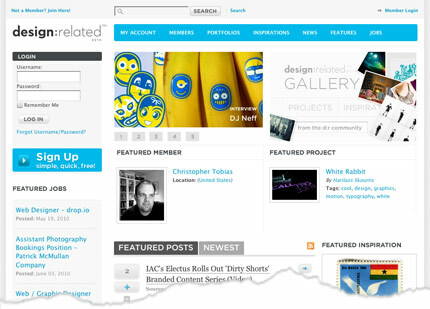 Via a profile you can post your own portfolio of work. 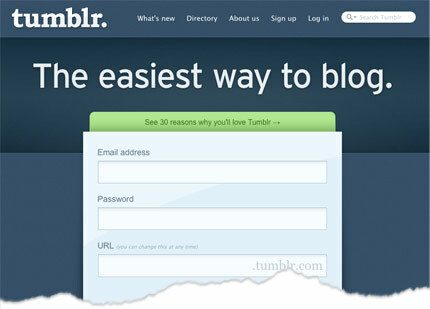 That is an instant way for young design students to establish an online presence if they are applying to internships. [T] Where do your students go for inspiration? Well, the Internet is certainly a good place to find contemporary work. I know they scroll through sites like FFFFOUND! or The Dieline looking for new and exciting visuals. You might be surprised but they still go to our art library to look at books and magazines. [T] Do you have any advice for graduating design students? Turn on your design radar. That means discover which studios are in the news and what topics designers are talking about around the water cooler. Both locally and globally — look for who is doing good work in your own backyard -and- who is making a difference in New York, London, Sydney and Beijing. [T] Thank you so much, Brian. It's truly great to see you helping design students jumpstart their careers. You certainly helped me start mine. Brian Slawson has been teaching graphic design at the University of Florida for 20 years. Tom's very first digital design project (circa 1994 *ouch*) was taught by Mr. Slawson using Hypercard on a Macintosh Quadra 660AV.